macOS High Sierra Compatible! 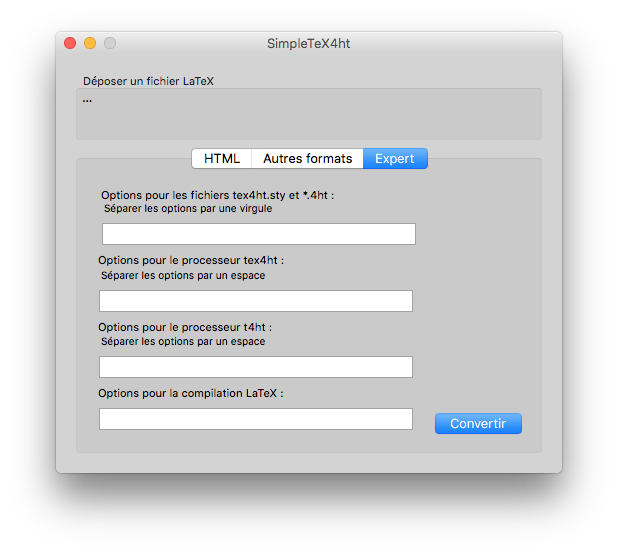 SimpleTeX4ht 3.3 is macOS High Sierra 10.13 compatible. Free download. Easy to use. To convert your LaTeX files, just drag and drop them from the Finder to the SimpleTeX4ht window, select the target format and click on the Convert button. Requirements: SimpleTeX4ht runs on Intel based Macintosh computers with Mac OS X 10.7 or later. HTML, XHTML, MathML, TEI, DocBook and OpenDocument. 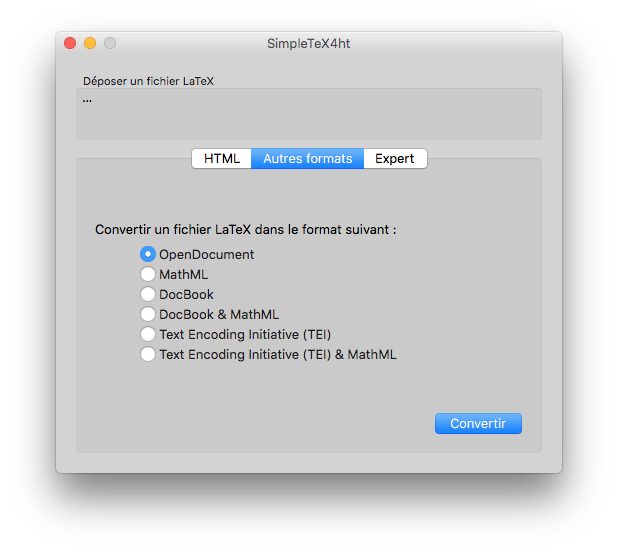 SimpleTeX4ht and OpenOffice.org can be used together to convert LaTeX to Microsoft Office Word format (.doc). Powerful. SimpleTeX4ht is simple but also powerful. Advanced users can specify their own options, depending on their needs. SimpleTeX4ht is a GUI to make TeX4ht friendlier to use. TeX4ht is typically run from the UNIX command line by doing something like htlatex filename "options1" "option2" "options3" "options4". The expert tab brings you all the power of TeX4ht. For the best display, some TeX constructions, such formulas and equations may be rendered as images in the converted file. Open source. SimpleTeX4ht is released under the terms of the GNU General Public License version 3. The list of contributors and the source code are available from the developers section. 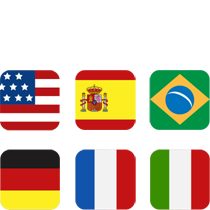 SimpleTeX4ht is currently available in English, French, Spanish, German, Italian and Brazilian Portuguese. MacTeXtras. MacTeX consists of two pieces: MacTeX-20** and MacTeXtras. Since 2011 SimpleTeX4ht is part of MacTeXtras, available from www.tug.org/mactex/mactextras.html. SimpleTeX4ht doesn’t include TeX4ht. Note : TeX4ht is part of the The MacTeX Distribution.